Summer is gone but that doesn’t mean the fun is over. The truth is, it’s just getting started. Think of all the fun stuff that fall brings. I can think of a few to get you started. 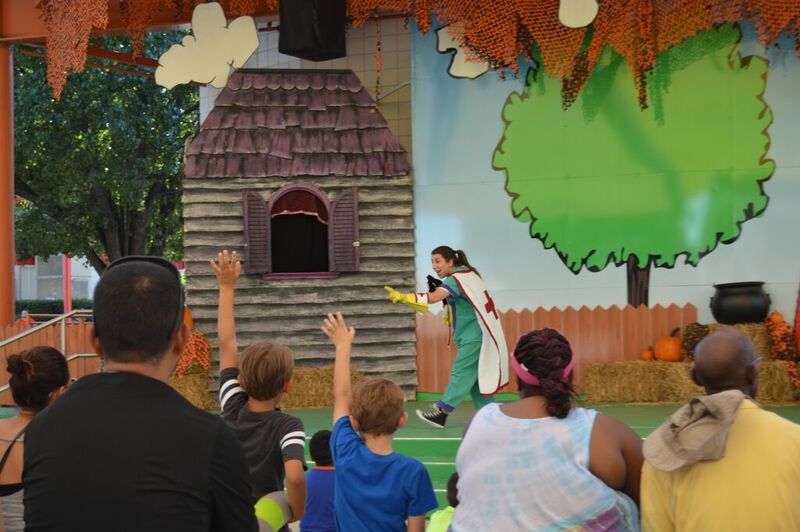 Halloween, Hay Bale Mazes, Pumpkin Patches, Petting Zoo, live shows and the PEANUTS gang, yes, Charlie Brown! - getting excited yet? I am. And you know what? You can have them all - and more - in one place. Yes. One place. Where? The Great Pumpkin Fest at Carowinds! The great thing I love about living in Charlotte is that I have easy access to a lot of fun things that the city offers and best of all, being so close to the Thrill Capital of the Carolinas and the Southeast: Carowinds! - Charlotte’s best (un) kept secret! If you didn’t know, now you know! Carowinds is the only unique theme park that sits right on the border of NC on the Charlotte side, and SC on the Fort Mill side. A perfect location that makes the theme park accessible on all sides! It is also the home of an annual fall festival, “The Great Pumpkin Fest.” Themed appropriately from the PEANUTS Halloween special, it offers endless fun to families and their little and not-so-little ones! An annual spooktacular ode to Halloween that had brought tons of fall fun to my family for years. My daughter practically grew up with Snoopy and Charlie Brown! Her personal favorite in the Fest is the Mumpkin Patch; where she gets to choose and decorate her own pumpkin and bring it home! But of course, that is not the only exciting thing to be had at the Fest. 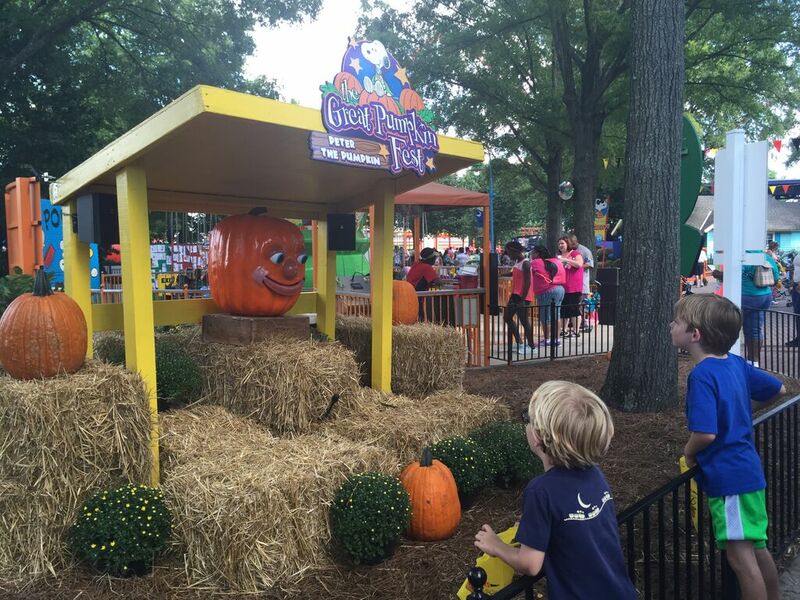 This year Carowinds made it more spooktacular by adding new attractions. Sleeping Giant - He's 12 feet tall and loves to sleep. If I were you I'd keep quiet around him and not make a peep or you know what will happen - or would you rather find out? Then there’s the fun-filled Live Shows that your entire family will love! Sing and dance with Snoopy, Charlie Brown and the rest of the PEANUTS gang as they get ready for Halloween at Peanuts Dance Party or better yet, join Charlie Brown, Linus and Lucy as they get dressed up in their favorite Halloween costumes and sing the iconic Halloween hits that is full of Ting, Tang, Walla, Walla, Bing, Bang Fun at the Peanuts Spooktacular show. Or if your children would rather sing, then the Kiddie-oke is the perfect live show for them. They can take the stage and showcase their vocal talents and wow their audience! Now let’s not forget, this is ode to Halloween so, there will be trick-or-treating at the Great Pumpkin Fest each day! Can you believe that?! Each day. And your children are also encouraged to dress up in their favorite characters while they enjoy the festivities. And since you’re already inside Carowinds. Guess what? You also get access to all the rides at Planet Snoopy and Carowinds. Itching to ride the award-winning Fury 325? Why not! This is your chance. 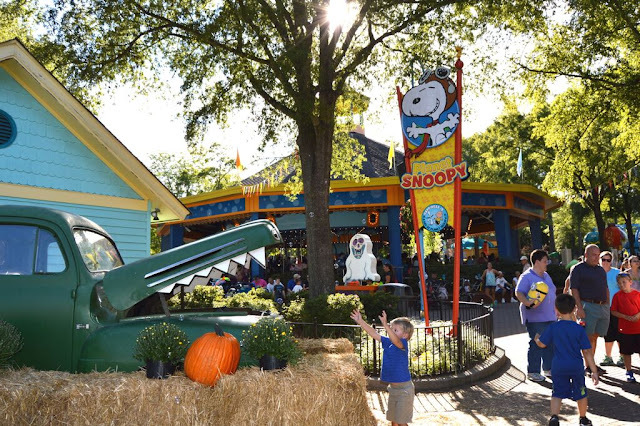 Of course these are just a few of the many fun things you and your family will enjoy at the Great Pumpkin Fest at Carowinds. But first, you have to be there to experience it. It’s literally, a hop away from the Queen City of Charlotte. 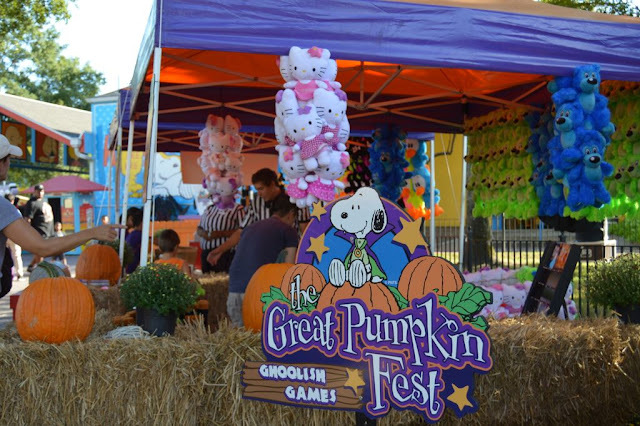 Great Pumpkin Fest is held on Saturdays and Sundays which and will run through November 1, from 11 AM to 5 PM. Hi Annamarie, The Great Pumpkin Fest is geared towards kids and they have fun stuffs for toddlers especially at Planet Snoopy. Fun helicopter rides, Pumpkin patch, Hay Bale Maze and the Foam zones are my personal favorites.